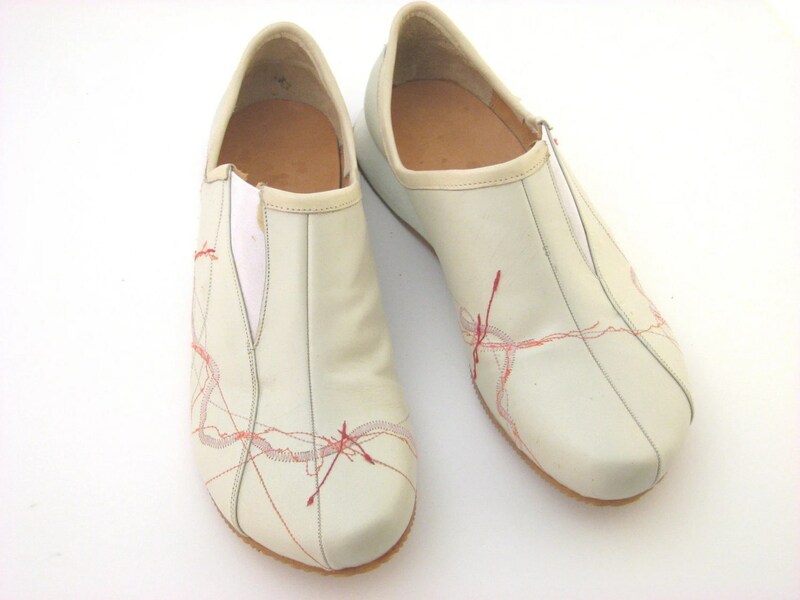 I already blogged about some handmade shoes before (precisely about Netamir, here), and I can’t seem to stop wanting more — whether it is handmade from start to finish, or pimped by hand. So I’ve spent the last week searching for new sellers to share with you! Leather gladiator moccasins, by TantrikaTribe. 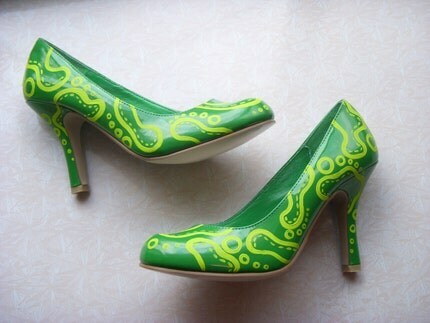 Neon Bacteria Hand-painted Shoes, by Crafttastrophe. Famous Shoes (on Keds), by Dailytee. 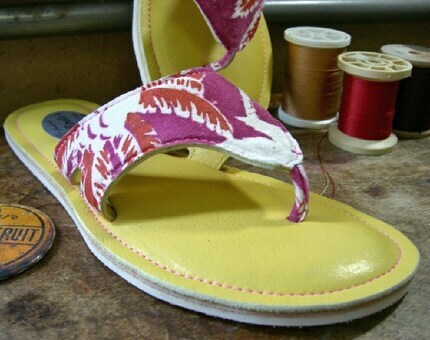 Tropical Boat Sandals, by Etrelles. 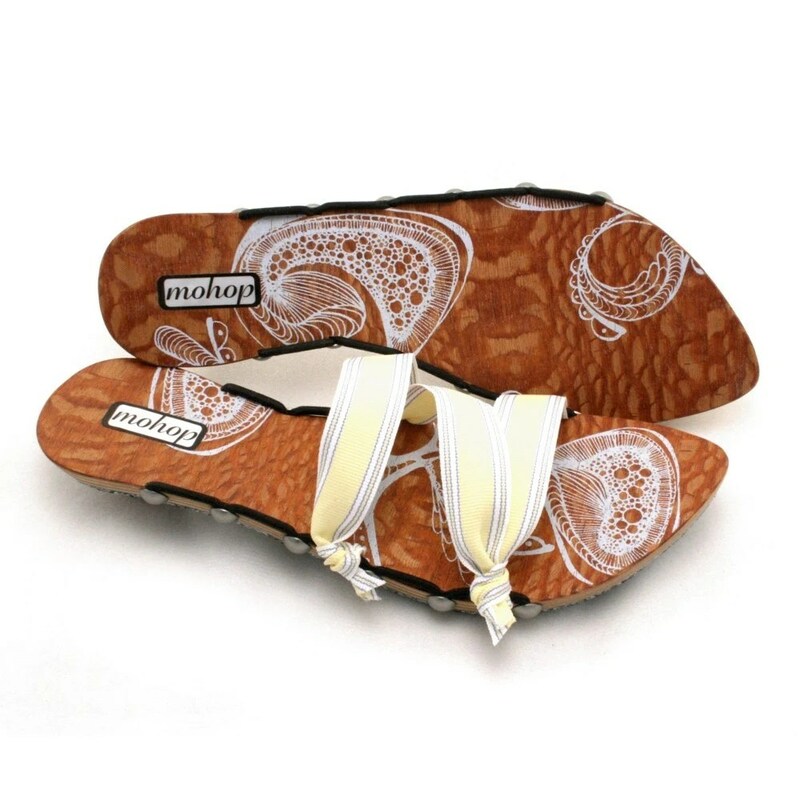 Sabot Sandal Clog, by Maxbeer. Crocheted Guillerminas, by Le Pied Léger. Hand-stitched Leather Pumps, by Scotatto. those hand-stitched pumps are amazing! 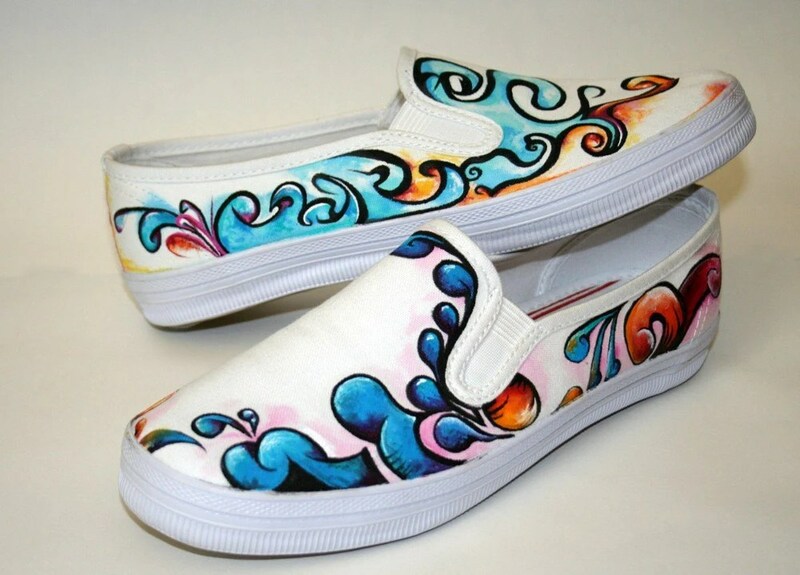 these shoes are very nice, I like graphism on it!!! 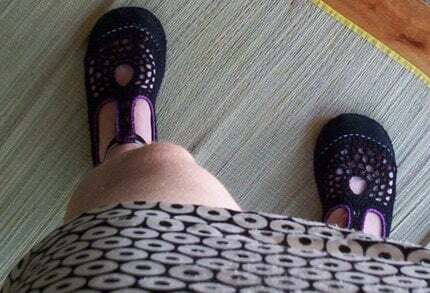 Those are some fun shoes! I have a pair of Mohops and just *love* them! Gorgeous, I love the gladiator moccasins and Hand-stitched Pumps.